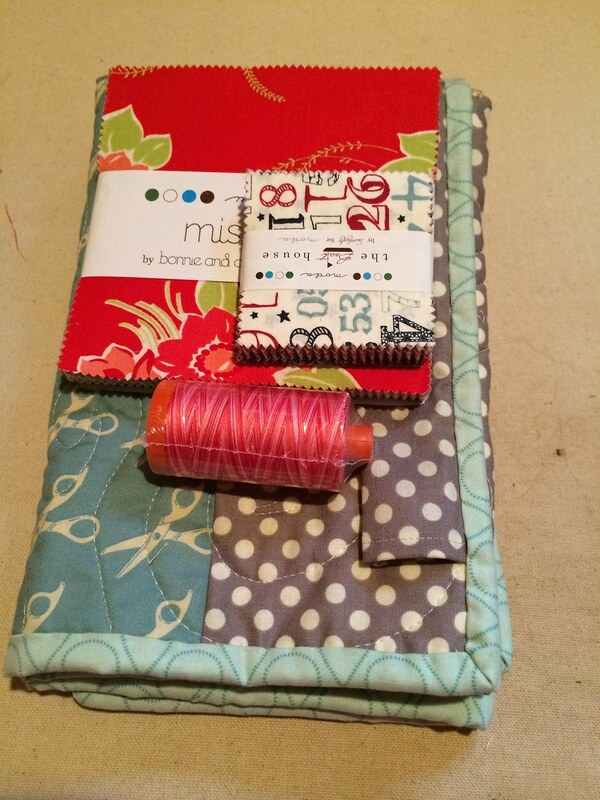 Blotch and Thrum: Mini quilt swap! 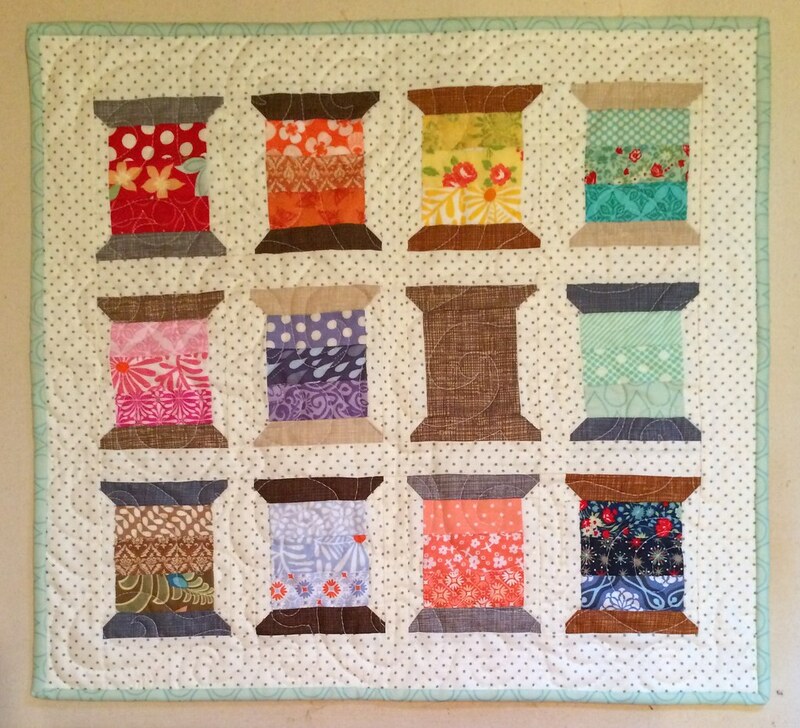 I used Camille Roskelley's mini spools pattern, because my partner had her listed as the designer she liked the most. 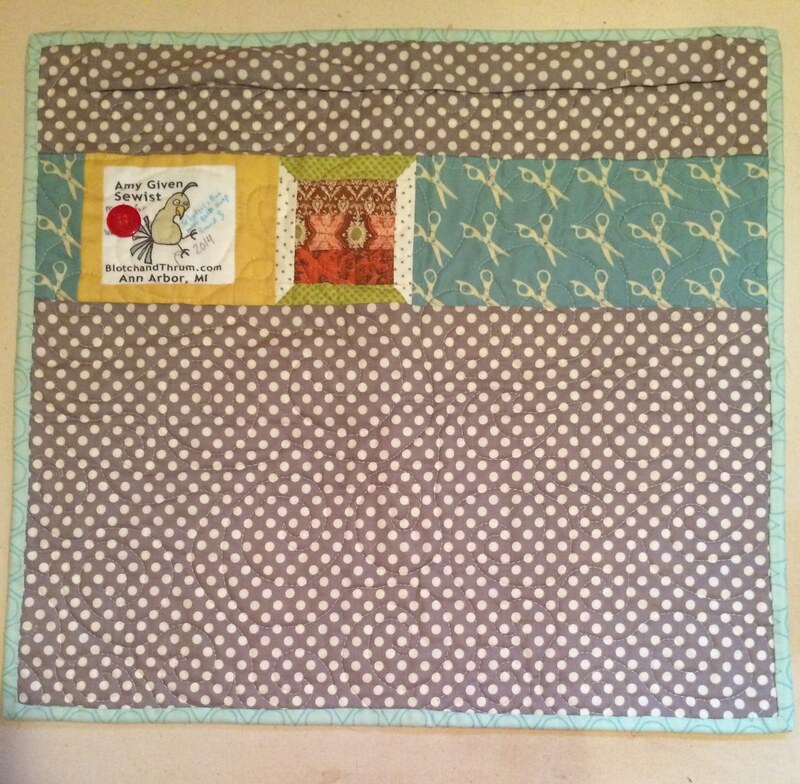 But, seeing that her partner in round two gave her a mini made with this houses pattern, I added another column to shake it up, and because she had a quilt with apples where one had a bite taken out of it as a favorite on her mosaic, I put in a naked spool. I tried to keep to designers she specified, but coral and brown went a bit astray. I used sketch for the spools cause it's my favorite basic, and comes in many shades of brown and grey. I used this momo scissor print to fill up some empty space, and I pieced another spool with some additional Basic Grey scraps I found. And my label, of course. Although it is 2015 now, I swear I did have this finished in 2014! For extras I sent some charms and a coordinating spool of aurifil, because I love it. I sent a box of cards, too, but they did not make it into the picture. Now I just have to wait anxiously for my partner to send me mine! 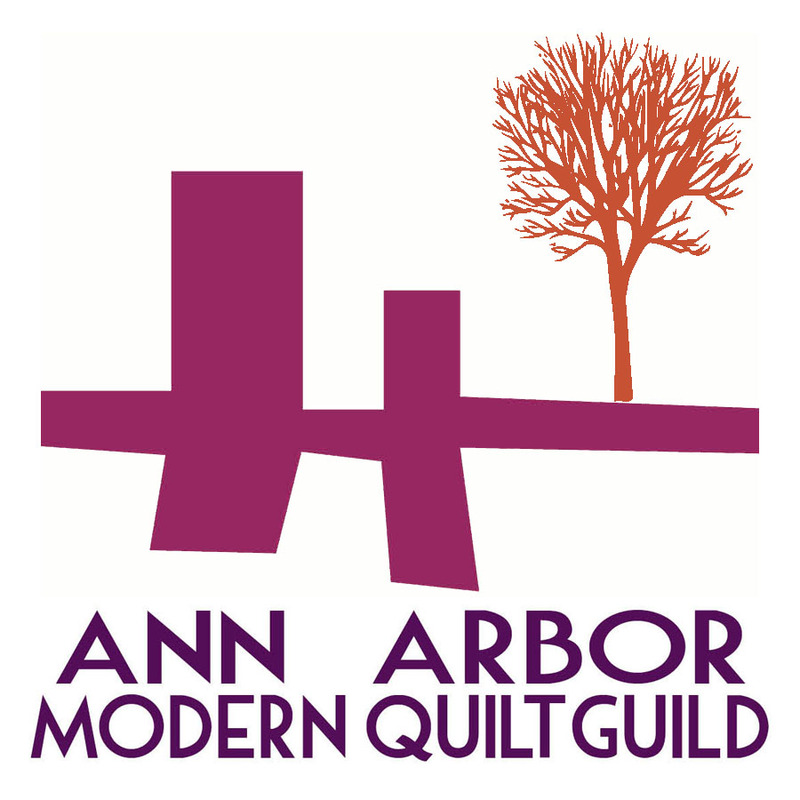 I have been following the swap as best I can, but I still have no idea which quilt is mine!